41 Lukie Points will be rewarded to you when you buy this. Veterans and newcomers alike will find something to enjoy with this excellent port of the classic N64 game. 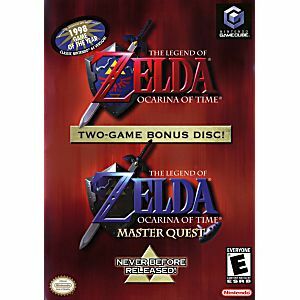 The Legend of Zelda: Ocarina of Time Master Quest is a special version of Ocarina of Time that wasn't initially released for the N64 in North America. 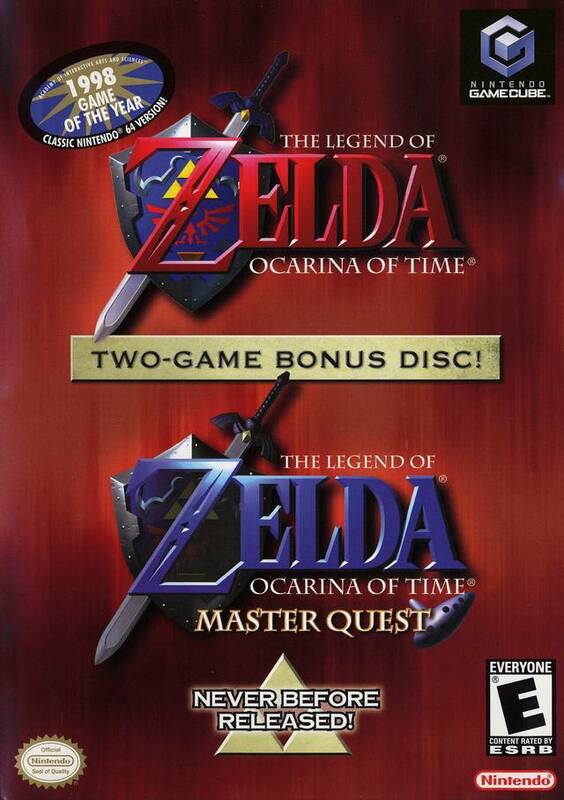 The Master Quest version of Ocarina of Time contains the same overall storyline as the original Ocarina of Time adventure. However, the dungeons have been upgraded to be truly challenging, even to a Zelda master. One of the best games ever made. Ocarina of Time, is by far an instant classic. Playing this game when I was a child I never got too far. Now as an adult I get to experience it again but this time I'll make it through the whole game. The game came with the case and several booklets as described and it runs smoothly. Site ships fast and effectivly. The game is just as good as when it was released. Order shipped on time and in safe conditions. Gameplay has been smooth and of course nostolgically fun. Can't believe the awesome price and awesome condition of the disk. I am having the time of my life playing this game with my daughter and I can't wait to order more games from this awesome website. It's fantastic. I also received my game right away. I couldn't be happier. I ordered this game and I received in within 6 days, which I was extremely happy about. My dad loves this game but sadly we lost it and he has been looking for it for years. I was able to get the game for $50 and normally they are going for $100-150 because it such an old game. Overall I am very impressed with Lukie Games and will ordering from them again!!! Very good, A must for the Zelda enthusiaists! Then game is great. Really enjoying it. The only complaint I had was that I was waiting on it to arrive I had no way of tracking it.